It was so much better that was a lame excuse for gazpacho. I'll give you my recipe it's authentic Spanish and amazing. 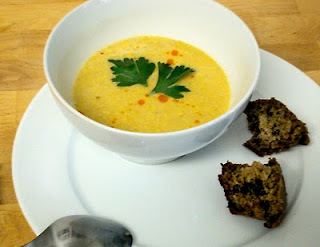 mmm just finished making the corn chowder and it turned out delicious!! I roasted and seasoned the corn beforehand and used cream instead of butter milk..Thanks for the great recipe!! !